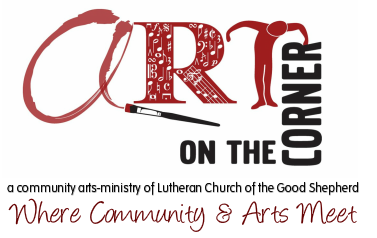 Art on the Corner is pleased to offer visual art workshops and wellness workshops for adults and families. Workshop offerings are added during the season. All workshops are held at Lutheran Church of the Good Shepherd. Follow the signs on the fence to enter. A small processing fee is added to all credit card / PayPal transactions. Rita Pihra-Majurinen, as she leads participants in ensemble drumming. Ensemble drumming brings people together in a shared experience; each individual has a unique contribution to make, irrespective of their musical background. No musical experience is required. Drums provided. Participants are welcome to bring their own drum. ​Pre-registration required as there is limited space. 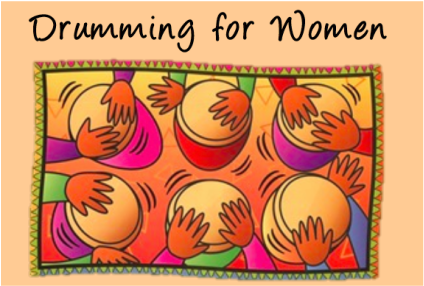 ​REGISTRATION FOR "DRUMMING FOR WOMEN" IS NOW CLOSED. Sign up for AOTC's newsletter to be the first to know when the next Drumming for Women session is scheduled. Please note: credit card transactions will appear as English Evangelical Lutheran Church of the Good Shepherd.